Baltasound is a widely dispersed settlement scattered along both shores of the deep and sheltered inlet of Balta Sound about half way up the east coast of Unst. This is protected from the weather by the high ground to the north and west, and by the island of Balta, across the mouth of the sound. 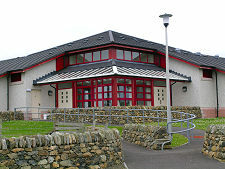 As Unst's main village, Baltasound is home to the school, the leisure centre and swimming pool, shops and a post office. It also has a guest house and the Baltasound Hotel, close to the main pier and harbour area on the northern shore of Balta Sound. Baltasound is also home to Britain's most northerly brewery, Valhalla. 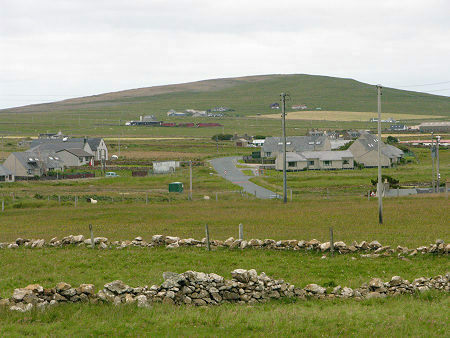 The main concentrations of settlement in Baltasound are the housing areas which served the RAF radar base at Saxa Vord, near Haroldswick until it was closed in 2005. On the south shore the settlement goes by the name of Ordale, which is why the airstrip here goes by the name of Baltasound (Ordale) Airport. 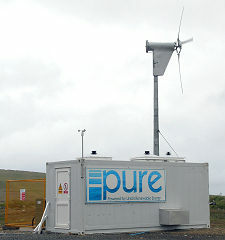 This was constructed in 1973 (only three years after mains electricity reached Unst ) to serve as a staging post for the oil industry. The airport became very busy during the 1980s, but offshore operations ran down from 1995 and transferred to Scatsta. As you look around Baltasound today, it is difficult to imagine just how different it used to be. 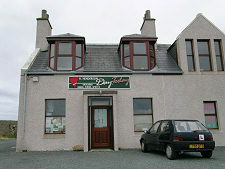 In the period around 1905 this was the main centre for the herring industry in northern Scotland. Up to 10,000 people were based here at the height of the season each year. 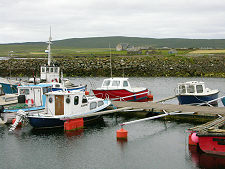 Some 600 fishing boats operated from the 46 herring stations, each comprising at least a pier and a processing shed, that were dotted around Balta Sound. As many as 2,000 fish gutters and coopers were employed simply processing the fish that came ashore. Baltasound in 1905 was a wild frontier town of wooden shacks filling most of the open areas between today's surviving, more permanent buildings. 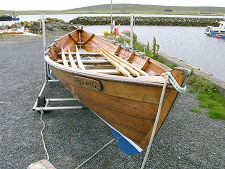 And if herrings were not enough, Baltasound was also used by the whaling industry from as early as 1799, while the curing of seal skins also took place here, as did boat building. By 1939, most of the herring stations had closed; to be followed by the boat building before 1980. 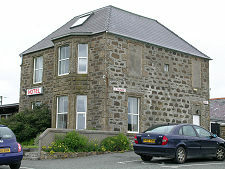 From 1877 Baltasound became the destination of the Earl of Zetland, which carried passengers from Lerwick via Mossbank on Mainland. This same ship operated the service until 1946, when it was replaced by a more modern steamer. However, from 1975 the current pattern of shorter crossings by vehicle ferries had been adopted and the steamer service from Lerwick to Baltasound ceased. Today's Baltasound is a very much quieter place than it was a century ago. Some signs of this are obvious. 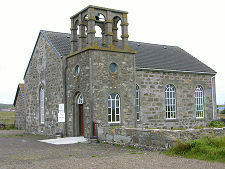 St John's Church was built in 1827 to accommodate 2,000 people. It was partly demolished in 1959 to be replaced by the much more modest church you see today. But while Baltasound must have been a remarkable sight in the days of 600 boats and 10,000 people, it is probably a rather more pleasant and comfortable place today.